As a registered BAS agent we can lodge your BAS or IAS online, on time; every time. 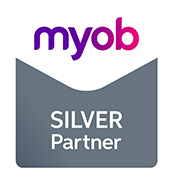 Tailored MYOB training to suit your business. Includes phone support and training manuals. Activity Statement preparation and lodgement. Micro Energy Systems Australia - Kathy installed and set up MYOB for our electrical contracting business. Her knowledge of bookkeeping and wizardry of MYOB software is outstanding but it is her ability to convey this information that sets her well apart. Kathy is adept at identifying problems and providing solutions in the most organised and proficient way. Nothing phases her. “The woman is a bookkeeping goddess”.